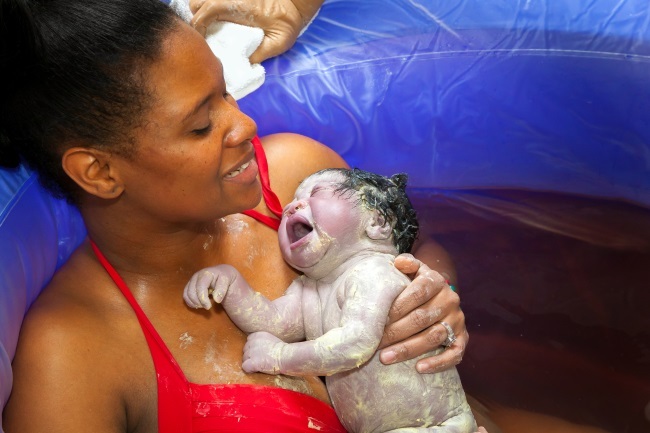 What Are The Advantages Of A Water Birth? Childbirth is a miraculous process, and there is nothing more amazing than bringing another human being into the world. Still, having a baby isn’t easy. Particularly if you are a first time mother, you have to learn how to listen to your body and do what you think is right. There are so many “rules” set up by society as to what is right and what is wrong; it is important to understand how you feel about different issues related to childbirth. The advantages of a water birth are many for the right mother. 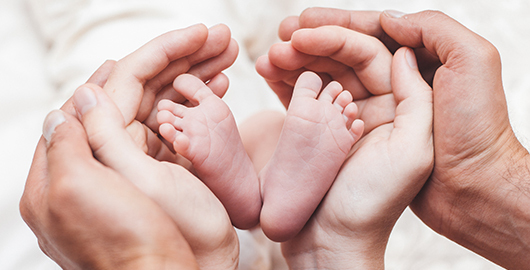 As you get ready to welcome your baby into the world, it is important not to fall into the trap of believing that a traditional, hospital birth is the only way to go. There are different options out there, like a water birth. A water birth happens when a mother choose to labor and deliver in a tub of water. There are so many advantages of a water birth. A water birth is a type of natural home birth that’s supported by a certified midwife, and can make for a natural and comfortable birthing experience. The information presented here outlines a few of those benefits. How Does Water Birth Help The Mother? Warm water makes the pain associated with labor and delivery not as intense. Water is also soothing, and as a result, mothers often feel calmer in the water than out of it. Anxiety is typically good when you are in a dangerous situation, because it gives you the adrenaline that you need to escape the situation. However, you don’t want that flight or fight response when you are in labor because it can keep you from progressing. When women are in the water, they are able to contract more efficiently because the back and the abdomen are not weighed down by the body. In addition, that buoyancy encourages the mother to avoid a prone position, which is not very effective during childbirth. Childbirth can be very uncomfortable, and if you are in a hospital bed, you may find it difficult to get into a position that works for you. However, in the water, you can switch things up very easily, finding a comfortable position quite easily. If you don’t want to use drugs during your delivery, a water birth might be right for you. You can simply hold and start to bond with your baby following the delivery, instead of trying to fight off the effects of surgery or drugs. You and your little one will both be better for it. These are some of the advantages of a water birth for the mother-to-be. How Does Water Birth Help The Baby? Your baby is curled up, cozy and warm inside your womb. It is startling to suddenly be thrust out into the bright, cold world. Being born into warm water makes that transition much easier. Your little one goes through a lot during the delivery. Why not give him or her a birth environment that is as close to the womb as possible? Because the water is buoyant, the mother’s blood is able to circulate better. That means the baby gets more oxygen during the delivery. In addition, when the mother is relaxed, the baby has a better experience during the birth process. If your pelvic muscles are tense, it places pressure on the baby’s head, which you don’t want for your little one. There are so many hormones flowing through the body after a baby is born. When no medication is present, you can be one with your feelings and simply embrace the moment with your baby. A water birth has amazing benefits for the mother, baby and anyone that is a part of the birth process. When the mother is relaxed and happy, the baby is ushered into the world without any fear or anxiety. Of course, a water birth may not be right for every situation, and it is important to keep the following in mind. As you can see, the advantages of a water birth can be great for mother and baby alike. When Should You Avoid A Water Birth? If your child is breech, a water birth is not right for you. Similarly, if you are expecting multiples, having trouble with bleeding or are dealing with an infection, you should not give birth in the water. In addition, if you are going into labor early, you should not have a water birth. If the baby’s vital signs are not good, if you are dealing with pre-eclampsia, if you have a lot of meconium or if you are overweight, do not opt for a water birth. Keep in mind that you do not have to worry about getting water in the baby’s lungs. The baby does not begin breathing until it is taken out of the water. In addition, you must have a midwife present during the birth.